New App for Buyers and Sellers! The sales for February 2018 hit thirteen closings. We saw four fixer-uppers, two Timberline Rim homes, two Government Camp condos and one Mt. Hood National Forest cabin close. 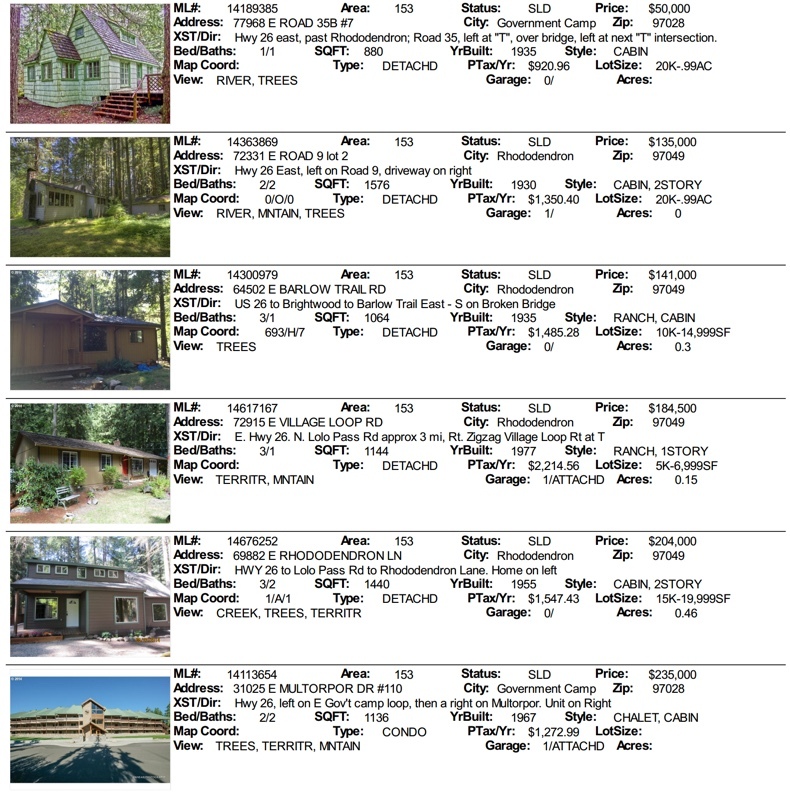 Inventory under $200,000 sits at five properties at the moment. As we head into spring we are seeing a few new home entering the inventory. Nearly a third of our inventory for sale is over $400,000! October home sales were down from September on the mountain. After a lingering warm fall it could be buyers were out enjoying our exceptional extended fall weather which came to a screeching halt when big winds and six inches of snow hit Welches this month. Nationally and in Portland sales for October were record breaking with the highest number of sales since 2006. 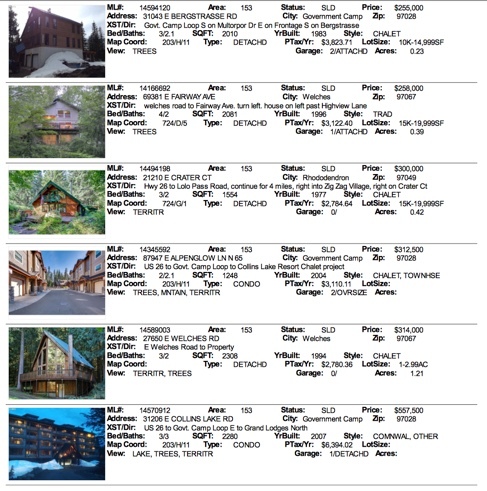 The biggest winners this month were Condo sales in Government Camp! Market statistics are in from multiple listing service for area 153 which covers Government Camp, Welches, Rhdodendron and Brightwood. March was a very active month for closed sales totaling 12 sales. Fifty percent of those sales were foreclosures. Take a look at the numbers from NAR. 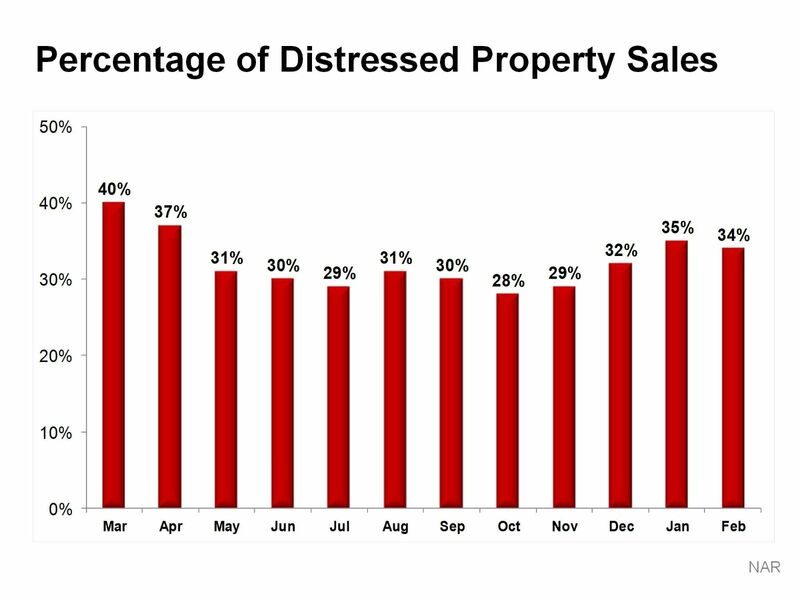 In February the national percentage of distressed sales was hovering at 34%. As the backlog of foreclosures enter the market this year it's likely the national number will go back up towards 40%. Mountain sales for the month are listed below this graph. Twelve sales. Five were cash and two purchases were USDA loans. This would be homes for primary home use and income limits to qualify for this type of loan. Market Action from RMLS provides real estate market statistics for the Mt. Hood Real Estate area market including Welches, Government Camp, Rhododendron and Brightwood for August 2011. We have good news and bad news. The good news is for the month of August pending sales were up 133% compared to August of 2010. The bad news is the marketing time for the sales in August was 275 days. Year to date our average sales price change is down nearly 14%. That is nearly two times the Portland metro median price decline average compared to 2010. Here is a recent chart of activity comparing last year to this year in our Mt. Hood real estate area from Government Camp, Welches, Brightwood, and Rhododendron. This is direct from RMLS reflecting activity in July 2011. Comparing 2010 to 2011 pending sales are down 45%. Our average sale price, year to date, is down 11.1%. This figure doesn't give much of an indicator though due to so little data. Closed sales by the end of July for the mountain hit 49. This is really surprising considering the incredible interest rates available. Now is the time to buy on the mountain with plenty of inventory and excellent rates for great affordability. The multiple listing service just came out with the Mt. Hood area statistics for June. 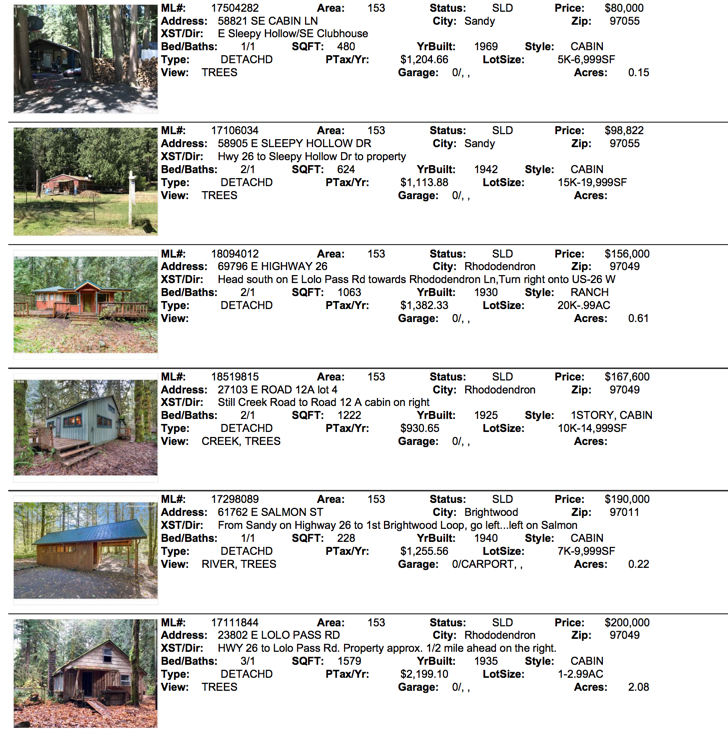 This is for sales including Government Camp, Welches, Rhododendron and Brightwood. Number of sales were substantially up to eleven sales! Total sales since the beginning of the year hit 39. Summer has finally arrived and many sellers have placed their properties on the market for the prime summer season. Incredible deals are available with many motivated sellers. It's the perfect time to purchase while interest rates are low making homes more affordable. 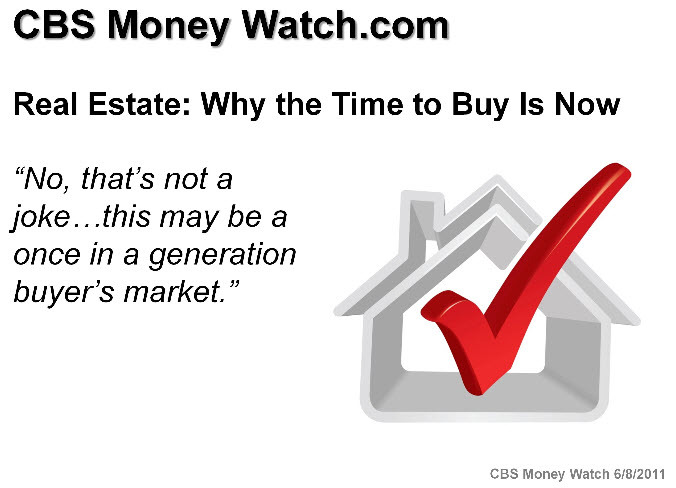 This could be a once in a generation opportunity according to CBS Money Watch. The numbers are in for the mountain area from Government Camp, Rhododendron, Welches and Brightwood. 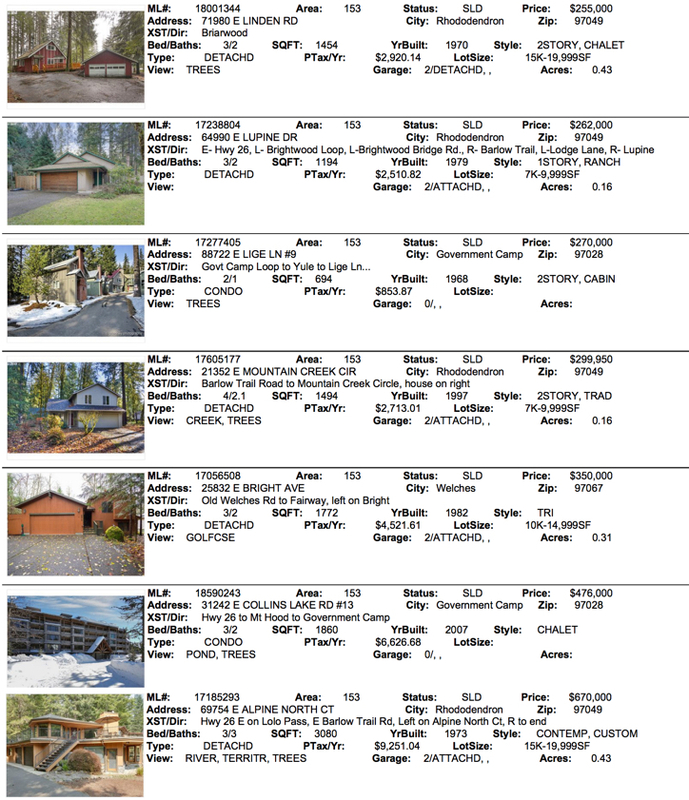 The multiple listing service just released the numbers today. The chart below shows active, pendings, and solds for the month of August 2009. This is also compared to last year and year to date numbers. SALES ARE WAY UP! Fourteen total for the months of August. The stimulus package is working and many of these were first time home buyers exersising the $8,000 tax cedit!